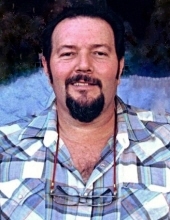 Mr. Larry Dean Kidd of Green County, Kentucky, son of Carolyn Walker Kidd of Green County and the late Rollin Kidd, was born on March 6, 2018 and departed this life on Monday, November 12, 2018 at the Hardin Memorial Hospital in Elizabethtown. He was 60 years, 8 months and 8 days of age. He had made a profession of faith in Christ and was a member of the Holly Grove Baptist Church. He was also a retired Machinist. Besides his mother, Mr. Kidd is survived by two daughters: Mairbeth Kidd, and Hannah Kidd both of Green County; a grandson: Cash Posey of Green County; his girlfriend: Pam Shreve of Union County; and a host of other relatives and friends. Mr. Kidd was also preceded in death by a sister and a brother: Angela Carol Kidd and Bobby Eugene Kidd. The funeral services for Mr. Larry Dean Kidd will be conducted at 11:00 A.M., Central Time, Thursday, November 15, 2018 at the Cowherd and Parrott Funeral Home with burial to follow in the Aetna Grove Cemetery. Bro. Leslie Jewell officiating. Visitation is requested from 4 P.M. until 8 P.M., Wednesday at the Cowherd and Parrott Funeral Home and after 7 A.M., Thursday until time of the funeral service. To plant a tree in memory of Larry Dean Kidd, please visit our Tribute Store. "Email Address" would like to share the life celebration of Larry Dean Kidd. Click on the "link" to go to share a favorite memory or leave a condolence message for the family.